From small chores to tough commercial jobs, the L Series utility tractors deliver consistent economic performance for year-round cost effective working. 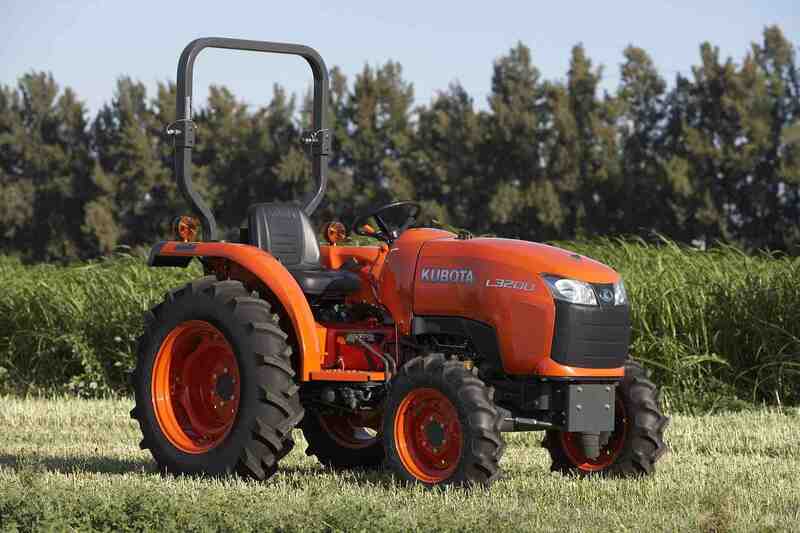 The L Series features Kubota’s ETVCS high torque-rise engine and has operator comforts like a padded cushion seat and power steering to reduce operator fatigue. At Kubota we have a reputation for reliability and service that is second to none. Our dealers are always on hand to ensure you keep your Kubota in first class working order. Equipped with eight forward and four reverse gears split into high and low ranges powered by a three-cylinder, water-cooled Kubota diesel engine incorporating Kubota’s unique three-vortex combustion system (E-TVCS) technology. The three-cylinder E-TVCS engine offers enhanced fuel/air mixing for exceptional combustion efficiency resulting in a cleaner, quieter, smoother-running engine with improved power delivery, torque and fuel consumption.